Mercedes launches Luxury Small Car “A-Class” at INR 22 Lakhs - HIT or MISS? 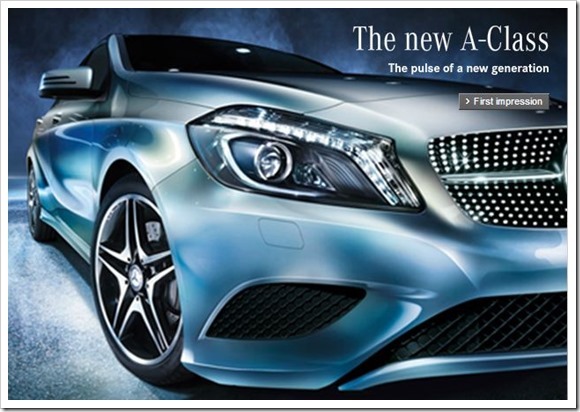 Mercedes launches Luxury Small Car “A-Class” at INR 22 Lakhs – HIT or MISS? They have put a introductory price tag of Rs 21.93 lakh (ex-showroom Mumbai) for the petrol version and Rs 22.73 lakh (ex-showroom Mumbai) for the sports mode. Let us first look at some of the features of this “A-Class” car – The hatchback has a 4-cylinder 1.6 litre petrol engine with turbo that produces 122 PS at 5000 rpm. All the top of the line features you would expect from a Luxury car are present in A-Class that includes 7 Airbags, an Electronic Stability Program (ESP), ASR, ABS and Brake Assist. Though a hatchback, it still packs 341 litres of boot space giving comfortable ride for 4 people. Check out entire feature list on this here. This biggest question however is whether Indians will buy the “A-Class” which has created a new segment in the Indian car market not present earlier – the Luxury-small-car segment. The price range of around 22-23 lakh has put off many people. Most of them had expected it to cost less than INR 20 lakh. With that kind of pricing, most Indians may prefer a bigger luxury car or an SUV. Infact, for few lakhs more one could get entry-level SUVs from Audi or BMW. Indians love for bigger cars may probably the biggest hurdle for A-Class to gain any traction in Indian market. A-Class may be a great drive in urban conditions and may appeal to few rich young clientele, but from the dismal sales that similar cars like BMW Mini or Volkswagen Beetle have seen in India before, I do not see much hope. What’s your take on this Luxury Small Car? Would love to know your views on it! Indian Govt. launches its own “eGov Appstore”! BMW launches its iconic Mini Cooper in India!